Snapchat is one of the leading social media and people are crazy about it. But Snapchat has not received such popularity in a day. It has taken years to make Snapchat where it is today. We are going to talk about all those Snapchat facts in this post. Snapchat came with a unique concept of sharing snaps and got viral in the youths. It came in existence in 2011 by Evan Spiegel, Bobby Murphy, and Reggie Brown and very soon become one of the leading social media apps. Although their concept is no longer unique and Facebook, WhatsApp, Instagram has already copied it. And now you can find the similar feature in their status. Somewhere in 2014, Snapchat got few measure features which made Snapchat the leading choice for youths. Few of those features were- Geofilters, Stories and Discover as well as cool Spectacles. So, we are going to talk about all those Snapchat facts in this post. I am sure you'll enjoy these. 25 Useful Snapchat facts you should know! Here are those Snapchat facts which you should know. These are interesting and if you are a business owner looking to advertise at Snapchat, these stats will be helpful. Yes, Snapchat was created by Evan Spiegel, Bobby Murphy, and Reggie Brown when they were the students at Stanford. Evan revealed in an interview that the idea of Snapchat came while they were working for the final year project. And also, he mentioned that they failed 34 times before Snapchat came in existence. 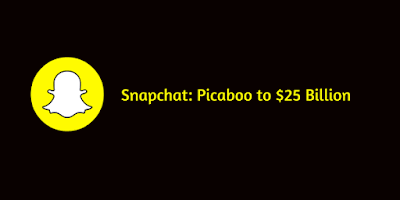 When Snapchat created, it was known with the name Picaboo and it was an iOS app only. Later their founder renamed it with Snapchat and made it available for both iOS and Android. #3 Almost on daily basis, Snapchat receives over 100 million users. This clearly shows how popular the app is. Just imagine 100 million users sharing millions of snaps to their friends daily. #4 Those 100 million plus users shares over 3.5 billions of snaps every day. #5 Snapchat receives around 400 million stories per day. Stories which can be either a photo or text can be kept as stories and it came in 2013. It became so popular that now Snapchat receives almost around 400 million per day. Now the stories you are seeing on Facebook, WhatsApp, and Instagram are inspired by Snapchat. #6 Snaps containing drink image are most popular on Snapchat. Snaps those are being shared on Snapchat have the large contribution of drinks-related snaps. #8 In 2014, Facebook offered to buy Snapchat at a valuation of $3 billion but their founders declined the offer. #9 On an average people spend around 34.5 minutes daily on Snapchat. While people under 25 spend more than 40 minutes daily. #10 Snapchat's average revenue per user is around $1.4 (in Q2, 2018) which is higher than in 2017 when the average revenue was $1.17 per person. #12 Within the 3 months of the launch of the snap map, 19 million users were checking snap maps daily. This is around 11% of total users of Snapchat. #13 A survey agency Cowen found that 96% senior ad buyers prefer buying ads on Instagram rather than Snapchat. #17 55% male Snapchat users shares their selfie on Snapchat which is less compare to female users where the percentage is around 77%. #18 More than 25% of UK users are using Snapchat while the count is way higher in Norway where the percentage is around 50%. #24 One major problem with Snapchat is sexting. In a survey by the agency Survata shows, users below 18 who uses Snapchat, use the app majorly for sexting rather than snapping. This a notable snap chat hack. #25 In 2013, Snapchat launched Snapchat kidz where the interface is for taking snaps, captioning, drawing, and saving them locally on the device. But you can't send or receive messages or add friends. These were some of the best Snapchat facts you should know. No doubt Snapchat is one of the leading social media apps in current age but apps like Instagram and WhatsApp are giving a tough fight to the snap sharing platform. 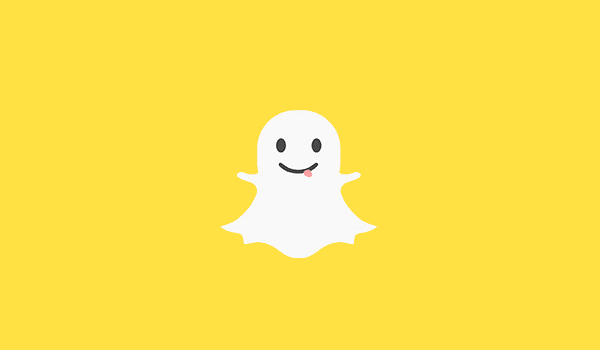 If you are an active Snapchat user, do share your experience with us.